Pope Francis acknowledges Sufi mysticism when he stresses God’s presence in all nature in his environmental encyclical, writes Rashied Omar. Pope Francis’s environmental encyclical entitled Laudato Si (“Praise be to you”): “On Care For Our Common Home”, which was released on June 18 is undoubtedly one of the most important interventions in the campaign for environmental justice in the 21st century. It is not surprising that the 184-page document, released in eight languages, took more than 18 months to draft. This second papal encyclical has already had a significant impact on shifting the global debate in favour of those who advocate that humanity should act with greater care for our common home. This is clearly in evidence at the discussions taking place at the 2015 UN Climate Change Conference (COP21) which is convening in Paris until Friday. Laudato Si no doubt has also inspired the Islamic Declaration on Global Climate Change released in Istanbul in August. Muslim scholars, such as Joseph Lumbard, who have engaged with Laudato Si, have concurred that the important themes in Pope Francis’s encyclical on the environment resonate well with the teachings of Islam on the environment. Here I would like to highlight two of them that were also evident in the exegesis and commentary on Laudato Si, by Father Peter-John Person. First and foremost, one of the most significant aspects of Laudato Si is that it frames the issue of environmental conservation within a framework of justice. In Pearson’s interpretation, Laudato Si is a document about justice with a focus on the environment, rather than the other way around. Pope Francis sees the issue of climate change through the eyes of the poor and this is the key hermeneutic or interpretive lens. In other words, the pontiff wants the economic, social and environmental world orders to be fairer to the poorest. Laudato Si criticises consumerist, profit-seeking economies, and emphasises acute sensitivity to debt, inequality, and poverty, and suggests differentiated responsibilities based on wealth and ability. Compassion and justice require voices to speak up for the most vulnerable and marginalised – those often left voiceless, those who have been pushed into poverty, those who have been denied access to food, water and other basic human rights, those who stand to suffer the most from climate change, while having contributed the least to the problem. The social, economic and environmental dimensions cannot be considered in isolation, but should be treated integrally as a complex joint crisis. These social justice concerns resonate fully with the teachings of Islam. And set up (for all things) the balance. So do not transgress the balance. From an Islamic perspective, the environmental crisis humanity is facing today can be viewed as a symptom of a deeper spiritual malaise. This spiritual malaise has come about through extravagant and consumerist lifestyles that have transgressed the balance between humans and nature. An imbalance or altering of the mizan (balance) has taken place at the individual, social and global levels and this is now being reflected in the environmental crisis. Such a perspective is also evident in the nomenclature and mission of The Claremont Main Road Masjid’s environmental programme: Muslims for Eco-Justice. A second new theme that Laudato Si takes up is that of acknowledging the existential rights of those with whom we share this planet, namely animals and plants, etc, and more importantly, recognising their spiritual essence. In the sixth chapter of the encyclical, Francis writes that humanity can “discover God in all things”. Hence, the pontiff asserts, “there is a mystical meaning to be found in a leaf, in a mountain trail, in a dewdrop, in a poor person’s face”. Interestingly, in order to drive home and substantiate this point, in footnote 159 of the encyclical, Francis credits a 9th century Muslim Sufi mystic Amir al-Khawas for the concept of nature’s “mystical meaning”. In his theology, al-Khawas was obviously inspired by the abundance of Qur’anic verses that depict the natural environment in this manner. Joseph Lumbard in his response to Laudato Si has provided the following examples of Qur’anic verses wherein God affirms the spiritual essence of our natural environment. The Qur’an proclaims, “whatsoever is in the heavens and on the earth glorifies God” (59:1; 61:1; 62:1; 64:1). “The stars and the trees prostrate” (55:6), “the thunder hymns His praise” (13:13), and “unto God prostrates whosoever is in the heavens and whosoever is on the earth, the sun, the moon, the stars, the mountains, the trees, and the beasts” (22:18). In these and many other verses, the whole of creation is presented as a divine symphony, for “there is no thing, save that it hymns His praise, though you do not understand their praise. Truly He is clement, forgiving” (17:44). According to an Argentinian priest, Father Augusto Zampini, “it is certainly unusual for a Pope to cite a Muslim Sufi in support of his theology of environmental transcendence, but those who have known Pope Francis since his days in the slums of Argentina know that this shows his personal touch on the encyclical”. By quoting al-Khawas, Zampini argues Francis is “inviting all human beings to transcend, to go out of themselves and therefore to improve the relationship that we have with other people, with the Earth, with God”. In conclusion, it is my considered view that through Laudato Si, Francis has inaugurated a constructive platform for credible faith and secular leaders to enter into renewed dialogue on the critical question of climate change and discuss ways in which we can bring ourselves closer to living in harmony and reverence with nature. Moreover, by locating such a conversation within the broader framework of Francis’s theology of compassion for the poor, which offers a powerful social critique of our global culture of consumerism, covetousness, and opulence – inter-religious dialogue should find even greater resonance among Muslims. It is my sincere hope that more Muslim scholars will take up the dialogical challenge presented in Laudato Si in a spirit of reverence and hospitality comparable to that with which the 12th century Muslim leader, Sultan al-Kamil, welcomed Saint Francis of Assisi, from whom the current pope takes his name. 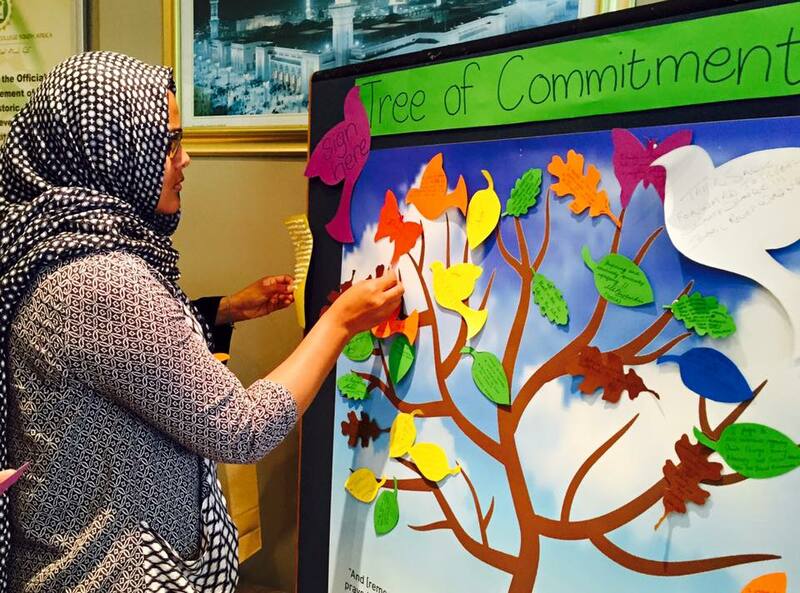 Muslims can and should engage substantively with Laudato Si in order to build broad solidarity with meaningful global commitments for the collective good, through responsible stewardship of the earth. * Rashied Omar is imam of the Claremont Main Road Mosque located in Cape Town, South Africa. This article was originally published on IOL on December 8, 2015.